I just think this is cool. 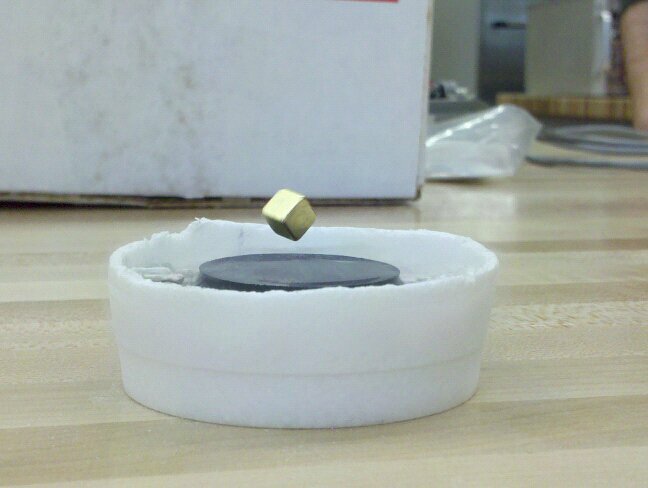 This is an image of a Meissner Effect demonstration for a lab that I did recently. The effect lets you easily levitate a magnet above a superconductor. That is, if you call attaining temperatures of 80 Kelvin easy (which technically it is – liquid nitrogen boils at 77 K – you just don’t see it every day).